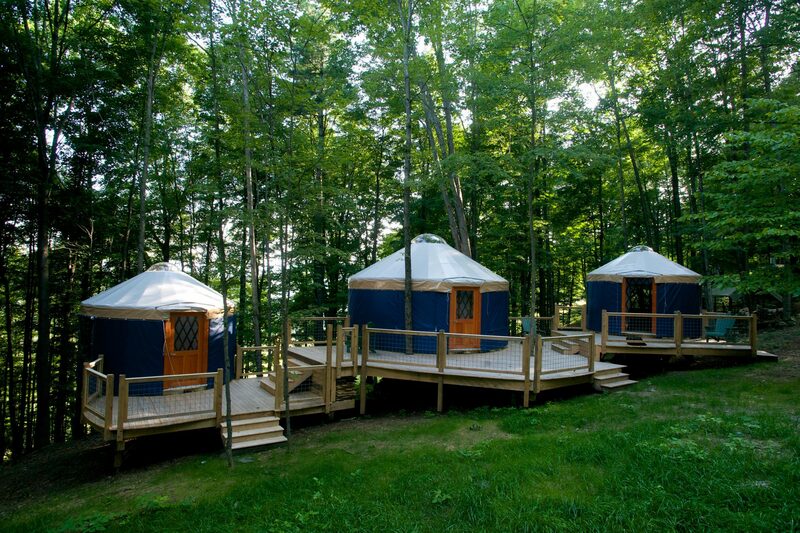 The Family Adventure Overnight is an exclusive experience at Knoll Farm for families to share together. We will welcome you to the farm, settle you into the yurt village with its beautiful stone-and-cob bath house, outdoor hot tub, fire circles and spectacular views. We will share knowledge about our organic farm and its 200-year history. That evening, hang out at the farm and help make pizza in the outdoor oven for a beautiful and healthy feast. Then s’mores by the campfire, star gazing in the big meadow and the outdoor hot tub before bed. In the morning we will provide a blueberry pancake breakfast, you can visit the animals, the hiking trails or many peaceful spots and libraries before you head out. The price includes accommodations, farm dinner and breakfast, for up to 21 people. You must have a minimum of 10 people to book. What are the preferred dates for your overnight? Thank you. You will be directed to PayPal to pay a deposit to reserve your space.